As the American healthcare system struggles to get its skyrocketing costs under control, many payers are exploring value- and performance-based payment models in which providers are reimbursed for positive outcomes. Most analysts believe such payment systems, which offer lower costs for payers, are the wave of the future. The newer model encourages providers to better collaborate on care, provide treatments and services customized to each person receiving them, and to focus more on driving positive health outcomes. Aside from the lower costs and better care already resulting from the trend, it may also improve health literacy by making healthcare systems easier for people to navigate, understand, and use. To illustrate, Cigna aimed to increase value-based payments to 90 percent of its spending in 2018. Aetna plans to funnel 75 to 80 percent of its spending into value-based contracts by 2020, with researchers there expecting value-based care to account for 59 percent of all U.S. healthcare payments by 2021. And in a 2017 study, UnitedHealthcare announced its goal to tie $65 billion of spending to value-based U.S. contracts by the end of 2018. Likewise, The Department of Health and Human Services (HHS) is prioritizing value-based models. In a recent statement, the Secretary of HHS Alex Azar confirmed that the Center for Medicare and Medicaid (CMS) aims to incentivize this shift in focus. “If you talk to any patient about what they want from healthcare, it’s outcomes, not process. Ultimately, that is what should drive providers, too,” said Azar. Furthermore, the trend is not limited to primary care. So what are some outcomes-based initiatives being implemented or considered through Medicare and Medicaid in various areas? 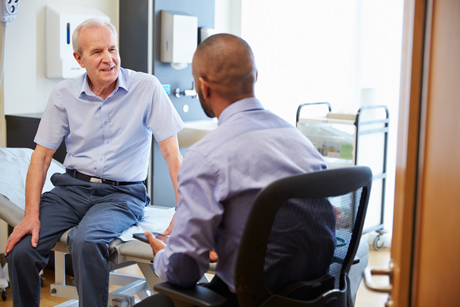 Section 223 of the Protecting Access to Medicare Act (PAMA) helps states establish certified clinics that must meet specific criteria emphasizing high-quality care. The CCBHC demonstration program is a two-year initiative across eight states. Participating CCBHCs must provide nine defined types of services and are removed from certain restrictions that exist under fee-for-service models. A PPS is a form of Medicare payment based on a predetermined, fixed amount related to patient characteristics rather than actual services provided. The IRF PPS will utilize information from a patient assessment instrument to classify patients into distinct groups based on clinical characteristics and expected resource needs. Separate payments are calculated for each group. Research has shown that bundled payments can align incentives for providers—hospitals, post-acute care providers, physicians, and other practitioners—allowing them to work closely together across all specialties and settings. This Michigan-based Medicaid Managed Care Organization is an early adopter of outcomes-based funding models. Over the past two years, it has developed service models for vocational services, services for persons with intellectual and developmental disabilities, targeted case management, Assertive Community Treatment, and several more. For example, payments for supported employment are now tied to outcomes metrics such as number of hours a person works and the person’s level of acuity. Case management payment is based on physical health metrics of the person receiving services, stable housing, employment status, etc. During the first year using the new models, OCHN has measured a reduction in acute care stays, more stable housing, and less involvement in the criminal justice system. The benefits have been clear enough that OCHN has begun advising other networks nationwide on implementing similar models. This trend isn’t exclusive to funders. State regulatory bodies are also looking at performance-based models and criteria. They are increasingly interested in prevention and methods to address social determinants of heath. The future is undoubtedly in favor of providers that can implement strong performance management practices. Learn more about how performance management can help your healthcare program prepare for this new outcomes-based care environment in our follow-up case study: The story of one provider’s path to value-based care.